Ms. Laderman was open, patient as it was our first meeting. I found her easy to talk to and she was very informative about my issues, which I thought otherwise. Being a patient you always think the worse, but her assurance gave me confidence in her knowledge. Great meeting. I came in for an ear cleaning. It was quick and easy. Dr.Tamar was a very good doctor who made me feel very relaxed. Friendly and extremely knowledgeable. Takes the time to explain any issues in detail and answer questions thoughtfully. I had a great first experience. Everyone there welcome me with a smile, extremely nice and was very helpful. My appointment was fine but I must've gotten at least 7 emails and texts reminding me of my appointment. a bit of an overkill. Dr. Chung has been my doctor for about 13 years and now my husband and kids see him as their doctor as well! Dr. Chung is very good doctor, I'm satisfied with his treatment. He listens my problems with patience and advise the correct treatment. Everything was great except the wait time was a bit long. Everything went smoothly with this visit and Dr. Chung was very attentive. Well, I googled shingles shots being painful, and they are~and I see Dr Fu today! So thanks for your excellent care. 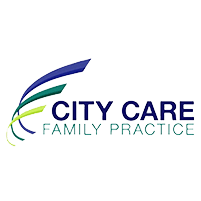 My experience at CityCare was fine - they were a little busier than usual but i mostly only come in the mornings otherwise. The nurse at the lab did a hell of number on my vein though - its bruised in a way its never been before. Doesn't hurt too much just looks really rough. 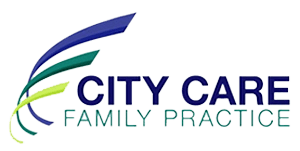 Doctor Gregory was very careful when considering the different aspects of my health situation and that allowed her to make a precise and correct diagnosis. A clerk was very kind!